Chess is great board game. It gives you a chance to learn strategy and tactics, apply your own style to the game and surprise you opponents. Lessons learned from games you lost can be easily applied next time you play chess and this means you are getting better every time you play! And as we are carrying cell phones with us most of the time – no wonder chess is the most popular board game on smartphones. We have search the Internets and found a list of top 10 chess games for Apple powered devices (iPhones and iPads). Different design, different chess pieces but the same great chess in all of them. What do you think? Finishing 4th in the World Microcomputer Chess Championships is not an easy task considering the fact that this app was run on lower generation devices at the time of the WMCC. This app whoops up other chess apps with its beautiful interface, choice of having 2d and 3d chess sets, and its opening book with a roster of 23000 moves! 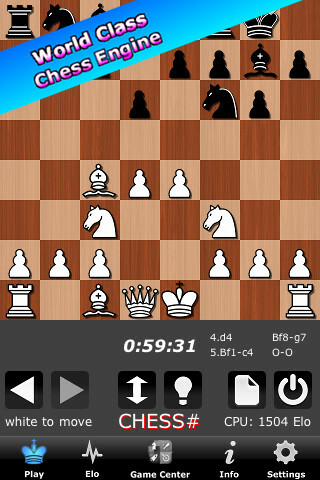 CHESS PRO by Christophe Théron is a powerful chess game with a chess engine having an Elo rating of 2700. The game itself is made for beginners and masters alike with features such as a chess rule book, a teaching option, and a selection of historical chess matches to view. Play rated games with t Chess Pro AI, pit yourself against Game Center opponents, or set a match with your buddy with 2-player mode – These are just some of the unique gaming features of the app. If you would rather sit back and learn the basics or even the tactical backbone of chess, this chess app offers an integrated “Learn Chess” e-book and an opening book to fatten up your chess knowledge. 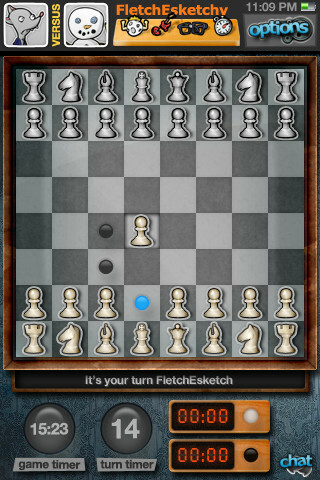 This app is very straightforward: play rated chess games online or view live chess tournaments and world championships. Enjoy! Zynga has added Chess With Friends to its popular “…With Friends” series. The rules of “…With Friends” games simply apply to this chess app: move a piece, and wait for your friend to make their move. 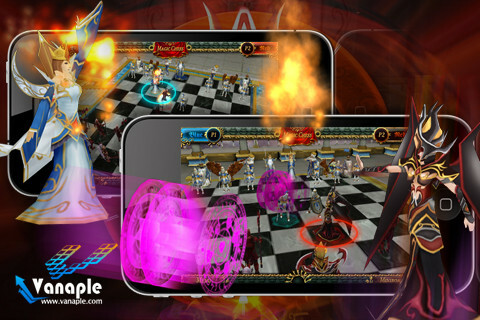 Players can create up to 20 games with different opponents simultaneously. A chat feature is embedded into the app as a fun social feature. Make your move! 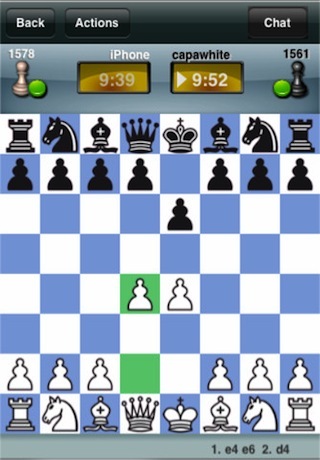 This free chess app limits itself by not having multiplayer features; however, chess players seeking for the toughest opponent on the iPhone should download this app. 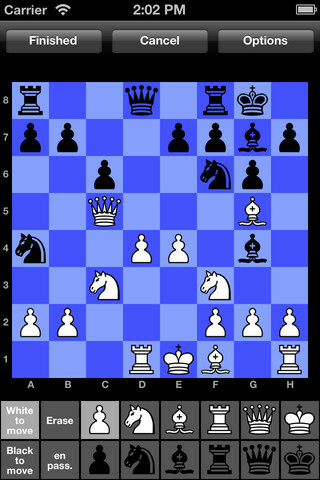 With a chess engine having an Elo rating of 2900, (if used on the iPhone 4 or higher) CHESS# would be the winning choice. 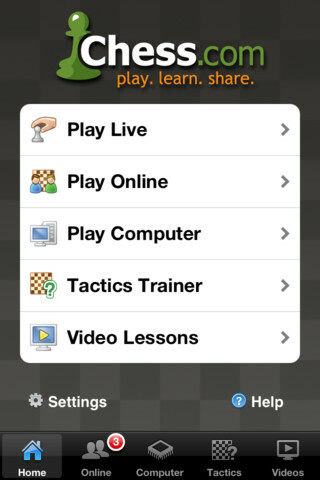 The world’s most popular chess site is conveniently integrated to your iDevice through Chess.com’s Chess – Play & Learn app. 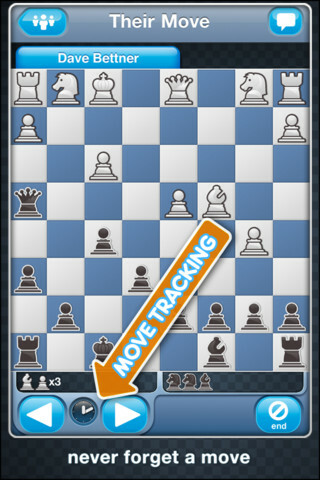 Play against AI or create real-time chess matches or slow paced games online. There are thousands of puzzles to sharpen your chess logic, and hundreds of video chess tutorials prepared by chess grandmasters! If you are looking for a simple and ready-to-play online chess app that allows real-time games, then this is the app for you. Ever wonder what the human (or creature) counterpart of chess pieces actually look like? 3D Magic Chess could give you the answer. Experience how action packed chess can be! Chess ? is one of the most downloaded chess apps on the App Store. Why is that? It’s simple to play, it has a clean chess board and neat chess pieces, it has a 2 player feature, and most importantly, it’s free! We’ve just release Shakki (finn. 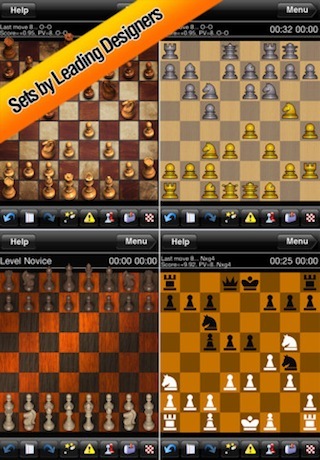 “Chess”), a brand new Chess App for iPhone and iPad (Eastern offer 50% off until April, 10).